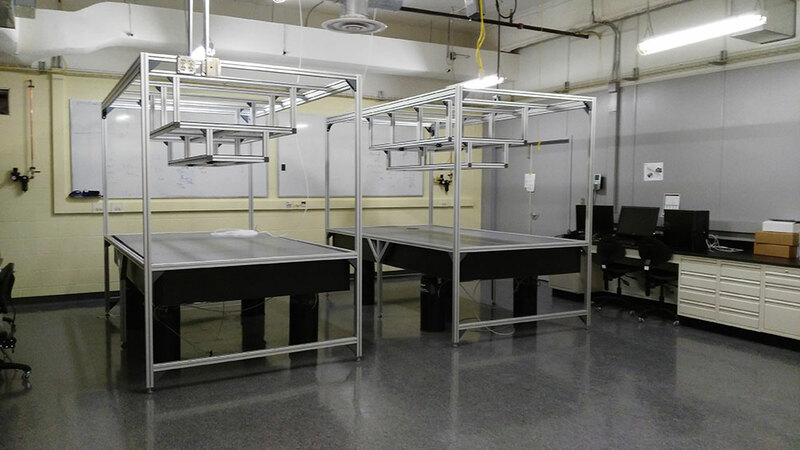 These frames were designed for a university optics lab to support equipment to be mounted above the table surface. We have designed several similar optical table frames. Some have removable panels at the ends, some have sliding doors along the length of the table. There are many options to suit the needs of each lab.